In the heart of the inner eastern suburbs, amidst the leafy tree lined streets, you can find the beautiful Verde Display homes. A brand new display home in Melbourne is set to be opened in Canterbury.If you are looking at building now or in the near future, a walk through a Verde Melbourne display home is a must. These display homes in Melbourne's suburbs of Camberwell and Canterbury offer the best in luxury and style. Verde’s specialist designers and architects administer a myriad of individual designs from Classic, French Provincial and Hamptons, to the Contemporary and Modern, fitting of Melbourne’s urban feel. Melbourne's Verde display homes are built showcasing classic architecture, featuring elements of French Provincial and Tuscan influences. Luxury and sophistication can be found in every corner of the Verde display homes. Not a square inch of the designs have been overlooked. The stunning first impression of opulence and grandeur from the facade carry through into the entry way and beyond.With Verde display homes you can expect majestic hearthstones, magnificent chandeliers and grandiose entrance ways. 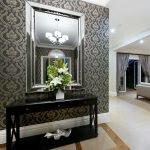 These Melbourne display homes will take your breath away, the attention to detail is everywhere. The Canterbury and Camberwell display homes are a classic example of Verde’s fine quality and timeless designs of beauty and functionality.The architectural features are bespoke to Verde's home designs and are truly luxe in the finishes, with coffered ceiling entrance ways and grand staircases are amongst the stand out features when you first walk in their Melbourne display homes. Refinement and elegance is designed into every aspect of the display homes. The absolutely stunning award winning kitchens, are not only visually amazing but built to make the day to day use a joy. Kitchens are the heart of the homes some say, and Verde display homes bring a new standard to kitchen luxury.Flow and design of day to day use combined with absolute luxury and refinement, Verde display homes are the pinnacle of boutique home design and the finest building techniques. The majestic and stunning facades are fitting to the streetscapes of Melbourne, followed into the stately, sumptuous display home interiors. Verde display homes bring a new level of classic urban design, energy efficiency, absolute quality materials and the highest standards of workmanship. 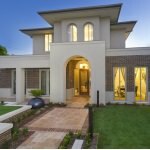 One look at these display homes will illustrate the careful thought and the absolute high standard of Verde.A visit to these Melbourne display homes in Camberwell and Canterbury is an absolute must. You will be inspired by these architect design homes of luxury, quality and craftsmanship, designed to be ageless, and the absolute high standard of Verde. View our existing portolio of homes. Our architects can work with these or design your own. We have a range of architecturally designed custom home plans that can be viewed online.